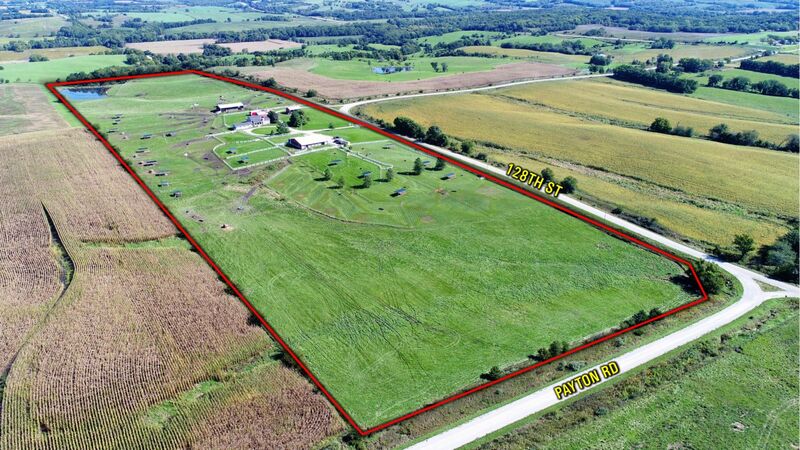 An opportunity unlike any other, a turnkey show cattle acreage located in Southern Iowa. Featuring 37.5 acres, 2 show barns, multiple storage sheds and fully updated home. Home offers 2,854 sq. ft. of finished living space. Features include, large master suite with walk in closet, 2 additional bedrooms, 2 3/4 bathrooms, kitchen with island, family room with fireplace and large dining room. The second level offers a large open family room as well. If this is not enough, home offers additional living space in the basement. A breezeway connects the home to the 3 car garage. Numerous updates include: master suite, laundry room, new flooring throughout, new windows, new siding, poured front porch, exterior stone work, new heating and cooling system and the list goes on. Outside of the home, the property offers even more, including 5 outbuildings, steel fencing, automatic waterers, an abundance of runs for livestock, open pasture and a pond. The first building is a 55' x 72' Show barn with a 27' x 14' addition. The inside of the barn offers multiple wash racks, 2 cool rooms, large clip room, office/storage room, pen systems and tie area. There is 200 amp service to support cool calf/air conditioning system as well as room heating systems. This building is second to none in functionality. On to the second building is 39' x 72' and offers runs great for calving cows and weening calves. This building also offers a wash rack and working area. The third building is 24' x 36' open front machine/storage shed. In addition to the 3 larger buildings this property also offers two smaller buildings. The first is a 24' x 24' spray foam insulated garage with electric door opener. The second functions as a feed/storage shed with bulk bin eclectically wired in this building and measures 28' x 16'. Property offers 7 Cobett waterers with an additional 4 automatic waterers to service all the individual runs. 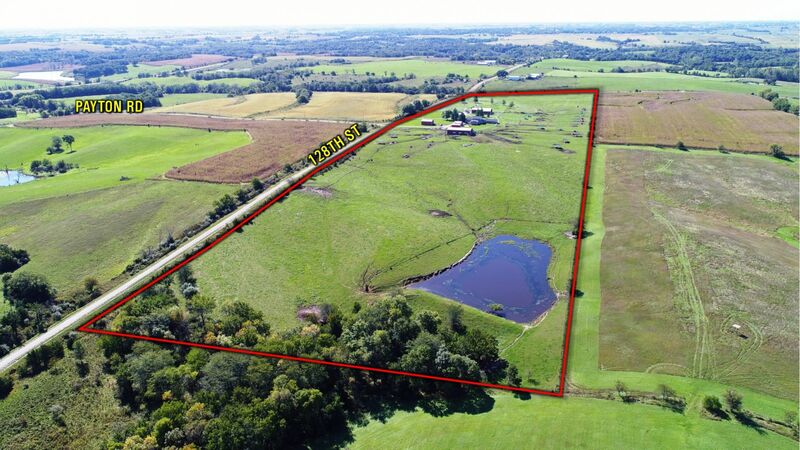 Steel fencing is run throughout the property and offers both functionality as well as making this farm one of the most prestigious properties to be offered for sale in Iowa. Take a moment to view all the features this property has to offer! An additional 80 acres is also available. E 1/2 SWSE and E 1/2 NWSE of section 1 of township 29 north range 22 west Wayne County, Iowa. Farm is currently in Pasture.